Xbox Live customers who are iffy about giving their credit card to the internet can now pay for their online fun with PayPal. Gamers today might be a little more hesitant to throw their credit card information around on the internet than they have in the past, and with good reason. But there's so much awesome stuff out there! What do you do when your itch to spend money collides with your fear of some scumbag hacker getting his greasy paws on it? You use PayPal! No, PayPal is not infallible, but it does add another layer of security between your precious user data and the nefarious ne'er-do-wells who are constantly seeking ways to get at it. 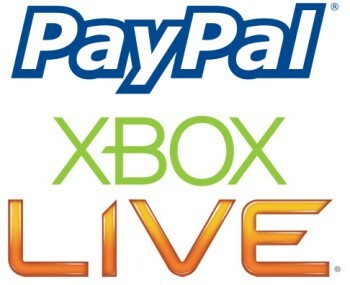 "You can use PayPal to buy Microsoft Points without having to associate your credit card information to your Xbox Live account," Major Nelson explained on his blog. "It's pretty easy and just like adding a credit card to your account. Sign in to Xbox.com and head to the account summary page. From there choose 'Manage Payment Options' (from the left navigation menu) then click 'Add a new PayPal Account.' Follow the instructions and you'll be set up in no time." Naturally, there are a couple of catches. You'll need a PayPal account, you'll have to reside in the United States and you can only buy Microsoft points on Xbox.com, not directly through your Xbox 360. But if you can live with those conditions, then you can enjoy all the convenience of buying stuff online without having to sweat about getting done PSN style.